Especially it can be used without licking or coming off. Since it is inexpensive even if it is not much popular, it is useful because it can be aligned without worrying about the price. This review is about item#48863105. 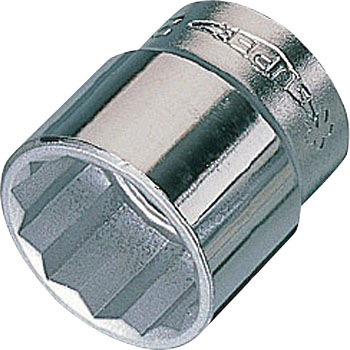 I owned a set of socket wrenches, but this time I needed a size of 16 mm across flats which is not included in the set, so I bought this item looking for a cheap and usable socket. The feeling I used was necessary and sufficient. This is not a frequently used size, so this is enough. . . It was cheap and easy to use, and it was a product as expected. This review is about item#48863175. I am using it for detaching the drain plug when changing the oil of my car (Rover mini). Changing with a single item is also helpful and COSPA is also good. This review is about item#48863157. This review is about item#48863166. Product is rough cut, but there is no problem in use. I can purchase from one point and I am very satisfied with the price. I bought it to tighten the bicycle freewheel with the specified torque. Play with the freewheel remover is also moderate and can be used without problems. There is no cheap place to make and surface treatment, and it is saved to be available cheaply. But this hand is common but it is difficult to see the display. It became drained bolt of a changed size and it was saved because there was not in the nearby home center. Since it is not the size to use so often, it seems that there is no problem such as durability. This review is about item#48863123. I bought a new bike stand. It places it under the crankcase and lifts it up. There is also a type that kicks with a foot and raises it by one shot, but this was a type turning around the six corners of 22 mm. At first I was turning with a glasses wrench, but because I needed to change wrench and I could not fast turn it, I decided to turn with a ratchet wrench. Since it is troublesome to take 22 mm sockets out of the tool box every time, I buy one for this and use it. I think that a large torque can not be applied at the insertion angle 9.5, but since the usage is a usage method, no torque is required. Because it was inexpensive, it is just right for this use. There is no dissatisfaction as a socket of this price for the quality of plating and making.